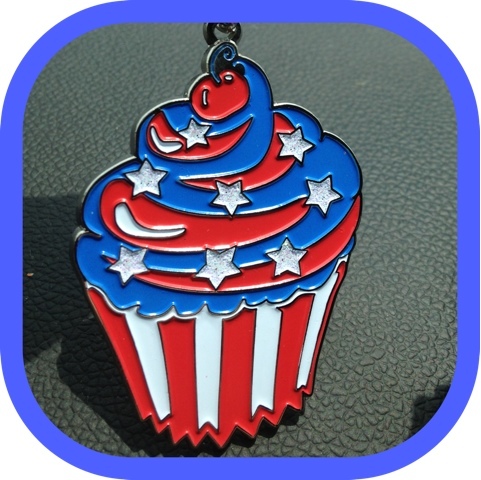 Running In Sanity: Firework Cupcake Medals Are In! I think they look great! We still have a few spots open, but now that pictures of the actual medal are out, I expect them to go fast! PayPal link is on the top right! Love this medal! So cute! Are these all sold out? Oh never mind! I just say your FB post. I needed 11 medals for a family vacation 5K I'm trying to put together. Thought it would be a cool medal for everyone. I'm late for everything! LOL! Hey Cara! You were one of the top winners on my blog raffle for The Longest Day! Please check out the post and email me your prize choices! Some have been claimed, so give me your top 3-5. Thank you so much for your donation!